Just one day after we reported that Johnny Depp has signed on to star in Fantastic Beasts and Where to Find Them 2, even more news has dropped about the sequel. During a recent Q&A, when it was confirmed that the Fantastic Beasts trilogy will expand to five movies, David Yates teased that the lead character Newt Scamander (Eddie Redmayne) will be heading to a new "capital city" for the sequel, some place "entirely different" than New York. Today the director confirmed that capital city is in fact Paris, France. Warner Bros. confirmed in August that Fantastic Beats 2 will be released on November 16, 2018, with David Yates returning to direct from J.K. Rowling's script. In this month's issue of Empire Magazine, David Yates confirmed the Paris setting, while adding that the movie is quite ambitious. Here's what he had to say below. "What we do know is that the already-underway sequel will travel to Paris. It's quite ambitious. [Production designer] Stuart [Craig] is unflappable and indefatigable, but when he saw the script for Beasts 2, eh said, 'Let me think about it for a minute...'." Back in July, David Yates teased that this magical sequel will take the story in a "new direction," while introducing new characters that will expand the Harry Potter universe even further. 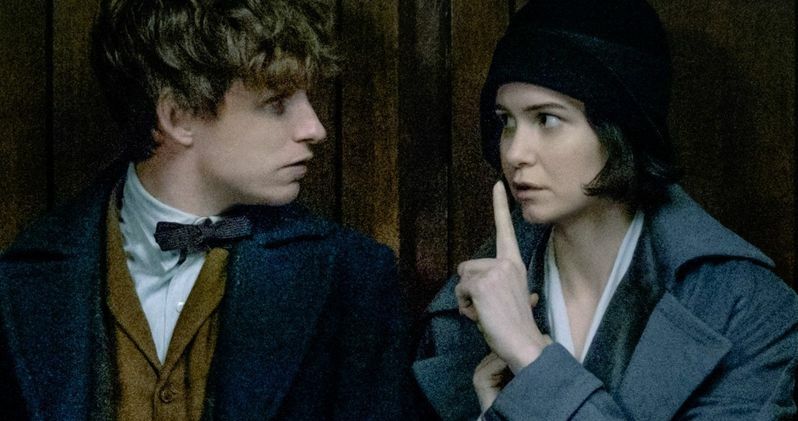 Aside from Eddie Redmayne's Newt Scamander, it isn't clear yet what other characters from Fantastic Beasts and Where to Find Them will return for the sequel. J.K. Rowling also recently teased that there is a good reason the trilogy has expanded to five movies, saying fans will understand once they know what story these movies are really telling.